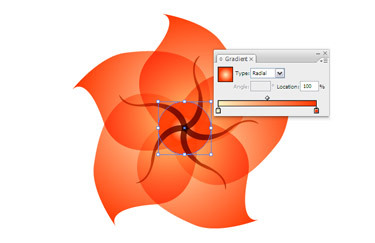 This tutorial will show you how to make a flower having gradient colours in illustrator. 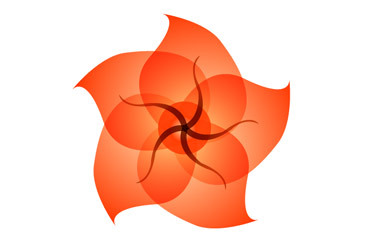 Using the Pen tool, make the paths of the flower. Give a gradient colour to the path. 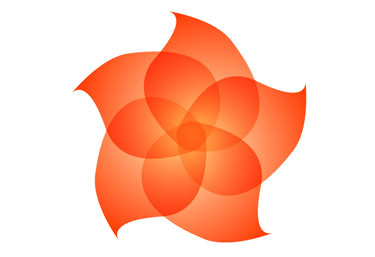 Choose one of the petals and fill it with a Radial Gradient. Paint the rest of the petals. 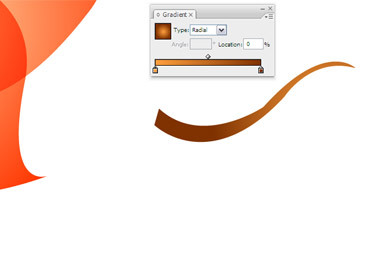 Then make a filament and fill it with a Linear Gradient. 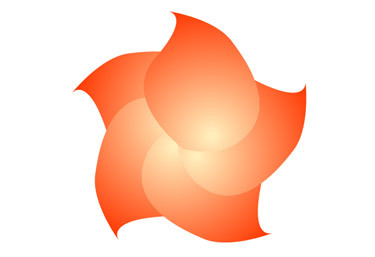 Also choose Multiply in the Transparency palette. 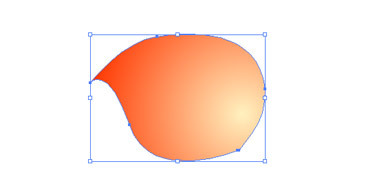 After that, draw an ellipse and give a red or yellow gradient. 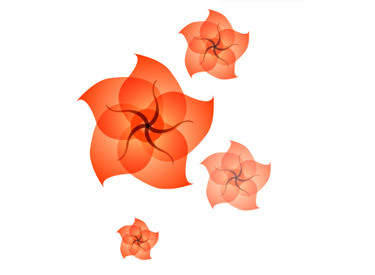 To create a beautiful effect like this, you can duplicate the flower and lower its Opacity.